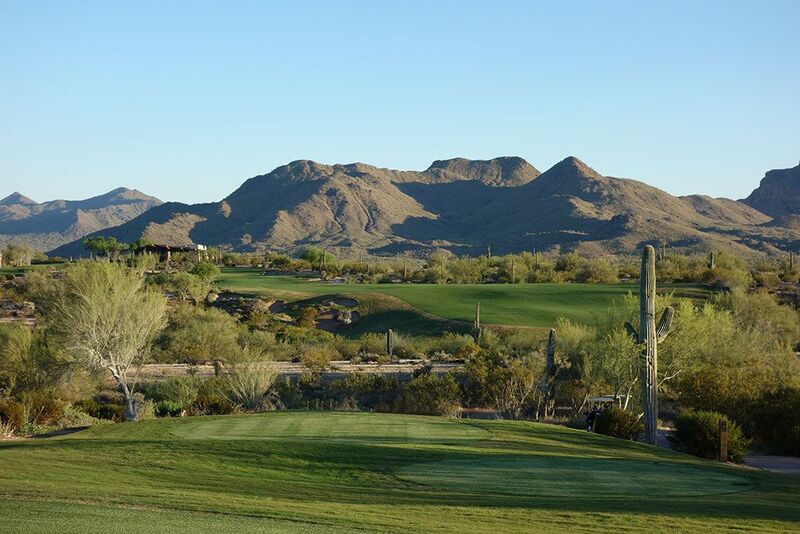 Course Website: Official Website - Visit We-Ko-Pa (Saguaro)'s official website by clicking on the link provided. 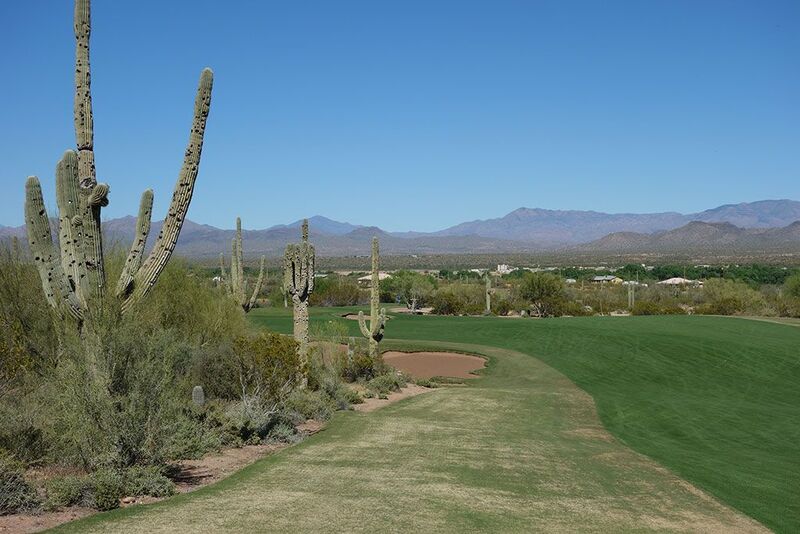 Accolades: Ranked 7th in Arizona on Golf Course Gurus' Best in State list. Signature Hole: 14th Hole – 538 Yard Par 5 – The best risk/reward par five on the property is this uphill hole that features two separate fairways. A tee shot to the island fairway on the right will significantly reduce the length of the hole and essentially requires players to go for the green in two, especially considering how welcoming the opening to the putting surface is from this angle. From the continuous fairway on the left players face more bunkering and length to contend with as they climb their way to the green. With a series of bunkers and a sloped angle to the green to consider, players need to play to their strengths on this hole to score well. Best Par 3: 15th Hole – 255 Yards – Coore and Crenshaw save some of their longest and most difficult holes for the final stretch at We-Ko-Pa and this lengthy par three is evidence of that. Measuring over 250 yards from the tips, this one-shotter plays downhill to a green with an open front thus allowing players to safely play short of the putting surface if they so desire. The fairway slopes from right to left so tee shots played to the right side can utilize the terrain to help bound their ball towards the green. This is a pretty heroic hole down the stretch and will draw blood more often than not in match play. 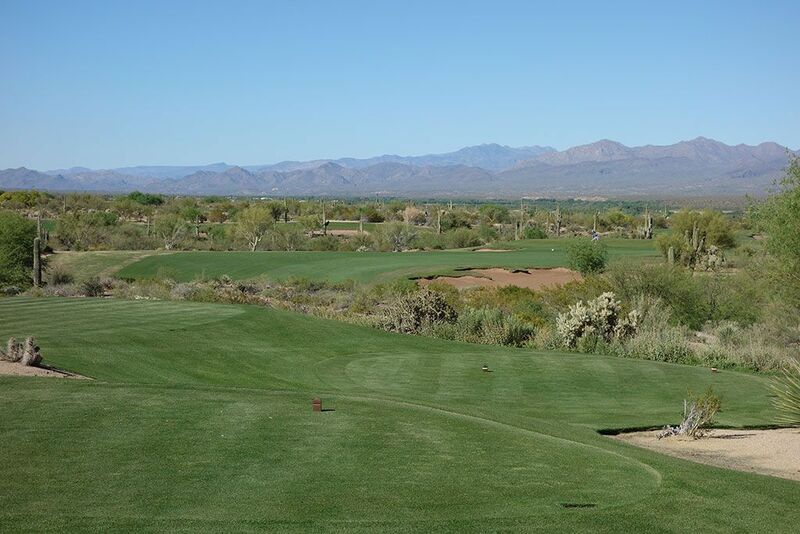 Best Par 4: 10th Hole – 337 Yards – The back nine kicks off with a great birdie opportunity with this short par four. The line at the green plays straight over the large fairway bunker on the right and towards the small pot bunker fronting the putting surface. Coore and Crenshaw do a great job here with four bunkers near the green to contend with but don't eliminate the intrigue of taking a rip at the green with your tee shot. With the hole turning slightly to the right, this is a great chance to hit a drive on, or near, the green and card a birdie. 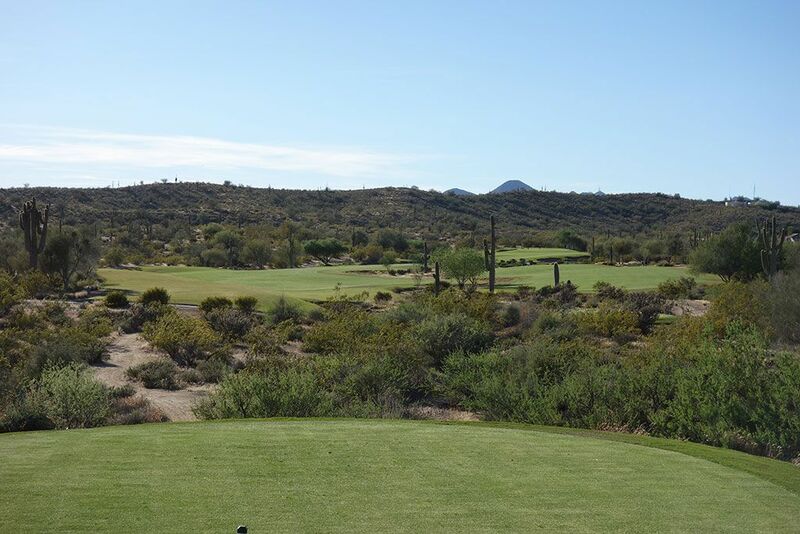 Best Par 5: 4th Hole – 631 Yards – While Saguaro features plenty of short holes to take advantage of, those are contrasted by some lengthy offerings like this 631 yard three-shotter that demands players to stay on their 'A' game. A drive of nearly 260 yards is required to carry the centerline bunker that can quickly put an end to any aspirations of reaching this green in regulation. After clearing the bunker, the fairway moves downhill and to the left with bunkers flanking the entrance to the green. 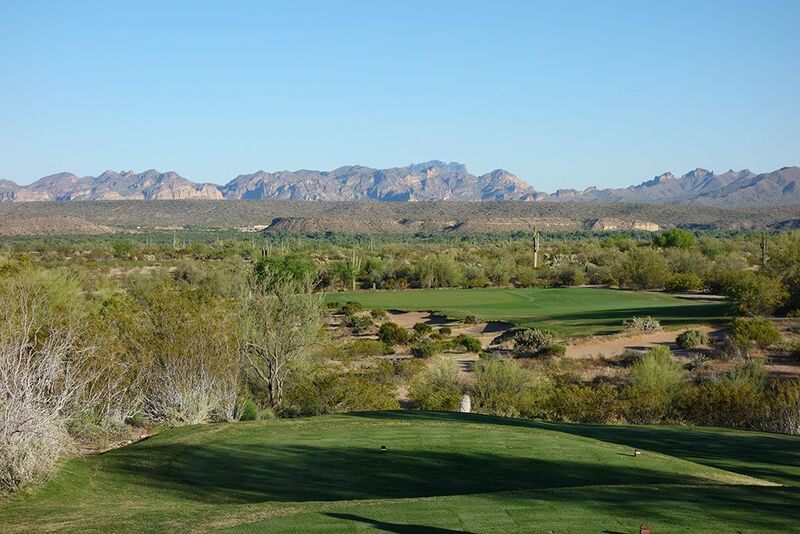 Fortunately the wide fairways accommodate the length, but this early offering let's players know that Coore and Crenshaw mean business at Saguaro. Birdie Time: 7th Hole – 331 Yard Par 4 – At just 331 yards from the tips and 290 from the whites, this "grip it and rip it" hole features an extremely generous fairway protected by a pot bunker in the middle of the fairway 275 yards out. Even a poor tee shot will leave you with a scoring club in your hand and a chance to go pin seeking. Of the four short par 4s on the course, this is the most vulnerable so make sure to take advantage of it. Bogey Beware: 18th Hole – 508 Yard Par 4 – Coore and Crenshaw test your endurance and mental fortitude down to the end by making the course's longest par four also it's closer. 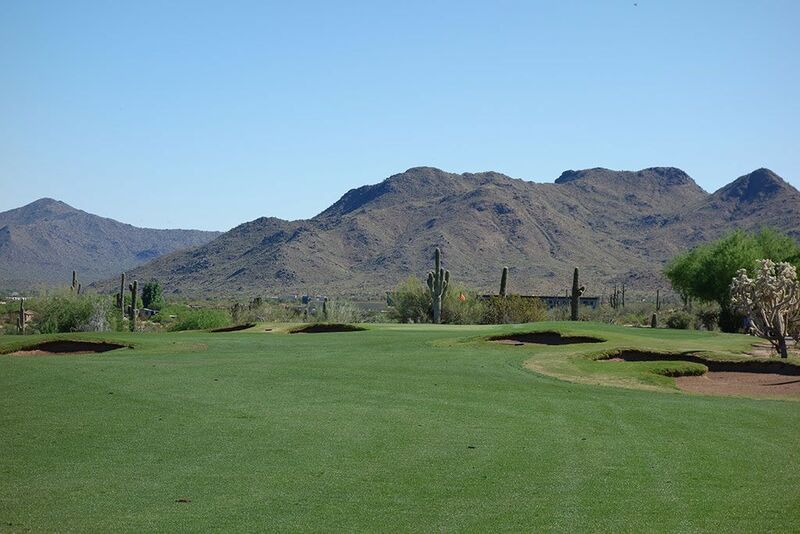 While the hole plays downhill in order to offer some reprieve, players have to decide if they can hit their tee shot over 250 yards to carry the fairway bunker on the left without having their ball finish in the desert waste area lining that side of the hole. Going to the right lengthens the approach shot and leaves players staring at the greenside bunker at the front right of the green. You don't want to be leaking oil coming down the stretch otherwise this hole could go from bogey to "other" in a hurry.